A visit to Dartmouth would not be complete without a visit to the Dartmouth Dam Display Park. 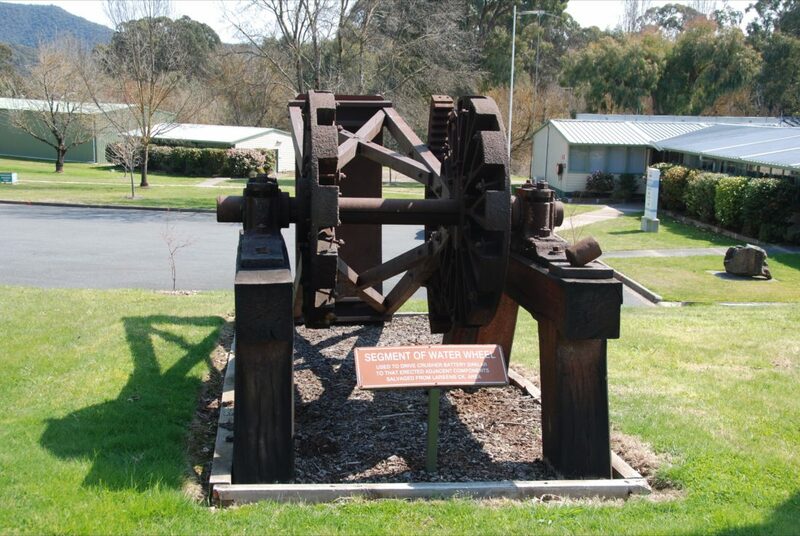 Located opposite the Alpine Caravan Park, there are many things to see here including a weather monitoring station, old water wheel, creek crusher battery, a roller and more. Public toilets are available including disabled access. There is a playground in the park which is situated beside the Tabor Creek and offers the kids a climbing area and slides. The park also offers several undercover barbecue areas, picnic tables, bench seats and a rubbish bin. The Dartmouth Dam boat ramp is only 11 kilometres away.